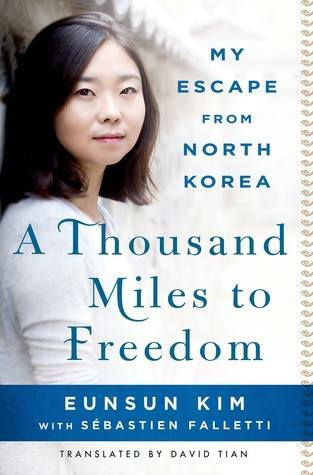 Thanks for St. Martin’s Press- Traveling With T has 2 copies of A THOUSAND MILES TO FREEDOM: MY ESCAPE FROM NORTH KOREA by Eunsun Kim to give to lucky readers! Fans of non-fiction and memoirs or book clubs who like a heavier read need to enter this #giveaway. By the time she was eleven years old, Eunsun’s father and grandparents had died of starvation, and Eunsun too was in danger of starving. Finally, her mother decided to escape North Korea with Eunsun and her sister, not knowing that they were embarking on a journey that would take them nine long years to complete. Before finally reaching South Korea and freedom, Eunsun and her family would live homeless, fall into the hands of Chinese human traffickers, survive a North Korean labor camp, and cross the deserts of Mongolia on foot. Now, in A Thousand Miles to Freedom, Eunsun is sharing her remarkable story to give voice to the tens of millions of North Koreans still suffering in silence. Told with grace and courage, her memoir is a riveting exposé of North Korea’s totalitarian regime and, ultimately, a testament to the strength and resilience of the human spirit. 2 copies of A THOUSAND MILES TO FREEDOM (US only). Check the Rafflecopter for more details. Looks like a riveting read, T! I know it’s not “high-brow art,” but I thought “The Interview” was a good film because of the message beneath the frequent bad language and sexual innuendo. I can’t enter the giveaway but will check out buying a copy! This book looks intriguing – I’ve had a weird fascinating for what goes on inside the black box of North Korea and really got interested after reading Without You, There Is No Us. I hope you entered the giveaway- when I was offered a copy of this book for giveaways- I thought of you!